Few producers have been spared from the outbreak of the fungal disease which they say has been caused by heavy rainfall in the spring. Most expect to lose between 20pc and 70pc of their crop to the disease. Bordeaux winemakers also suffered big losses last year with their worst harvest since 1945, caused by severe frost that cut production by 40pc. Mathieu Verdier of Château Bessan said: "With the rain that came after winter, I knew it was going to be a really difficult year. Now we're seeing mildew appearing on many of the vines. I estimate that my production will fall by about half." Aurélie Carreau of Château Mons La Graveyre said: "We've just seen mildew appear in the past week. Until then we weren't affected." Both Ms Carreau and Mr Verdier produce organic wine but even treated vines are developing the disease. "I know conventional wine-growers who've got the same problems as we have even though they treat their vines systematically," Ms Carreau said. 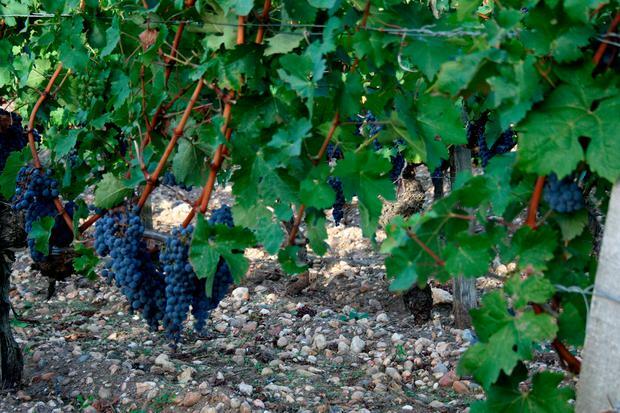 Joel Ortiz, a producer who advises the local Chamber of Agriculture, said: "Few vineyards are completely unaffected. It's widespread, although it hits some varieties of grapes worse than others." Merlot is most prone to mildew in organic vineyards, while cabernet sauvignon is the worst affected non-organic variety, Mr Verdier said. Even organic winemakers are allowed to use copper as a preventive treatment, although the amounts are restricted. 'Bordeaux mixture', which contains copper sulfate and slaked lime, is most commonly applied but it is ineffective once fungi have become established. If applied in large quantities year after year, the copper can pollute the soil and other crops. "We haven't had a series of disasters like this for decades," Mr Verdier said. "It's a seven-days-a-week struggle. We remove mildewed leaves to try to stop it spreading, then we apply the treatment, and then it rains again.